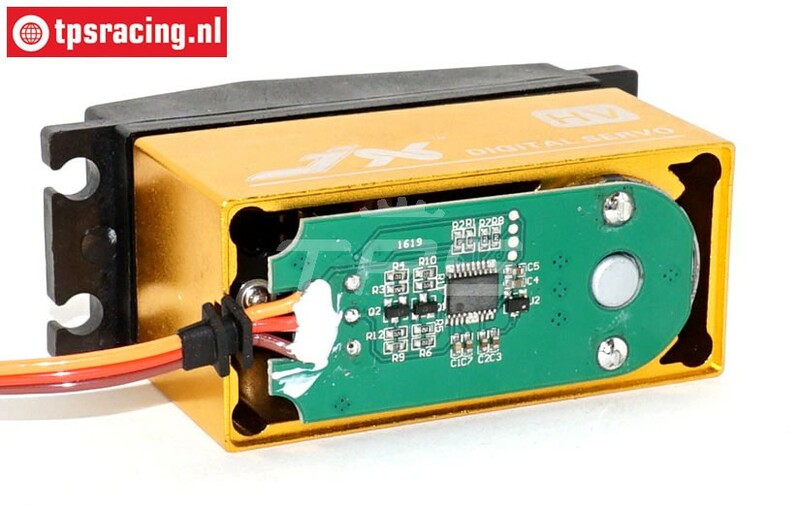 JX PDI-HV2070MG Mega High Power Servo! Solid, fast high-voltage servo with thick metal gears, double bearings and an aluminum housing for optimal cooling and performance. 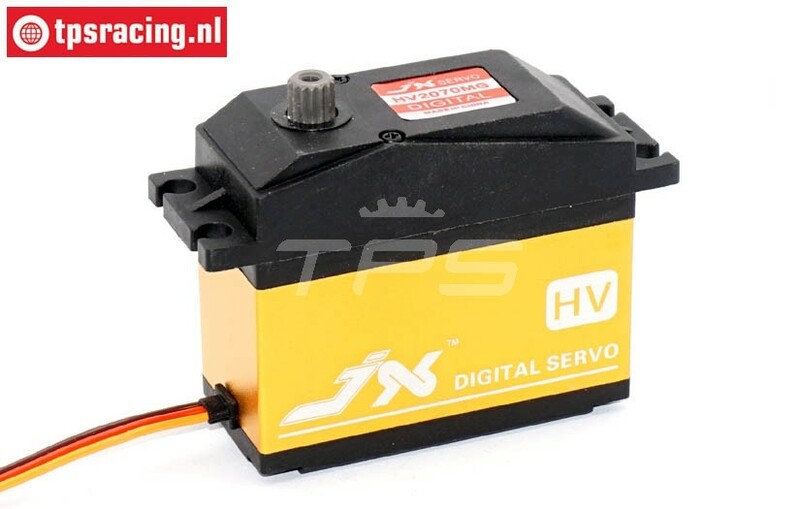 This PDI-HV2070MG wil surtainly not disapoint you as lot's of happy customers already use the excellent servo. All in all an excellent servo protruding above the established order, especially in combination with a strong value proposition. 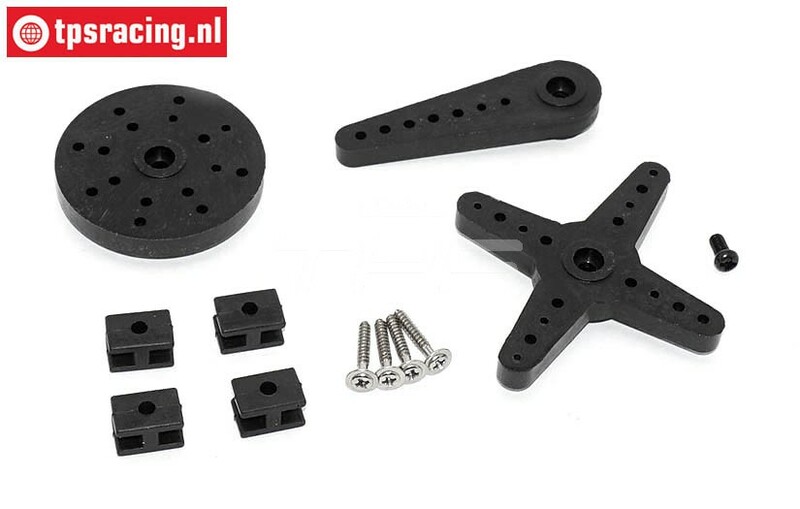 In terms of installation dimensions equal to the Savox S0235, S0236, S0240, S0241, S9010 and S9020 and Spektrum servos. The voltage may vary between 6.0 and 7.4 volts, so can be used with 5 x 1.2 volt normal cells, or with 2S Li-Fe or 2S Li-Po battery. We recommend, when using older type receiver with BEC system, to power this PDI-HV2070MG servo directly from the battery. For this direct power supply we have a special splitter in our program, TPS0528. JX PDI-HV2060-2070MG Motor, 1 pc. JX PDI-HV2060-2070MG Circuit board, 1 pc. 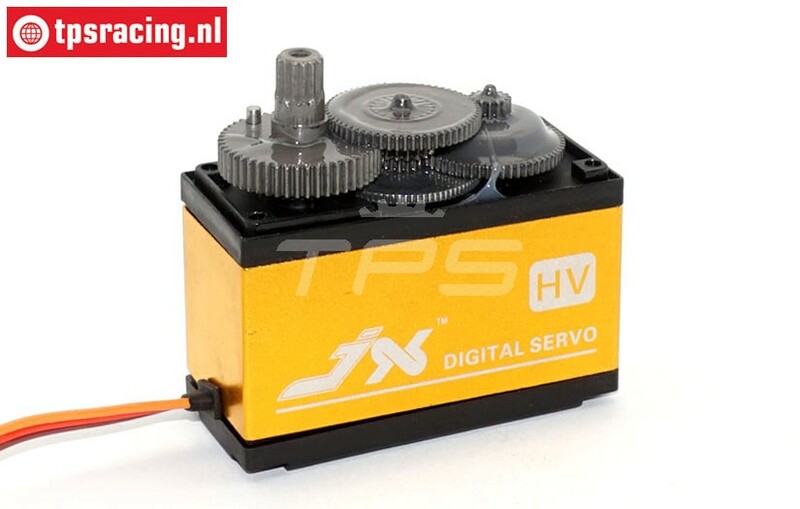 TPS0026 Aluminium Servo arm 15T- L66 mm Red, 1 pc. 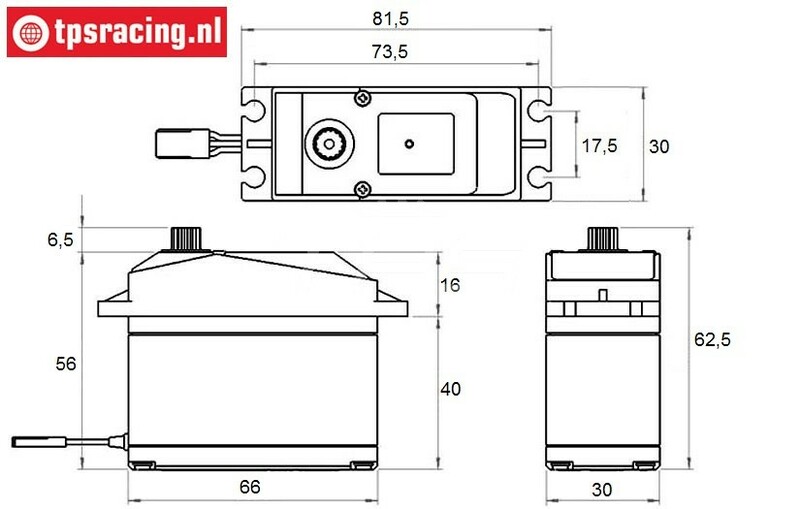 TPS0027 Aluminium Servo arm 15T- L66 mm Silver, 1 pc. 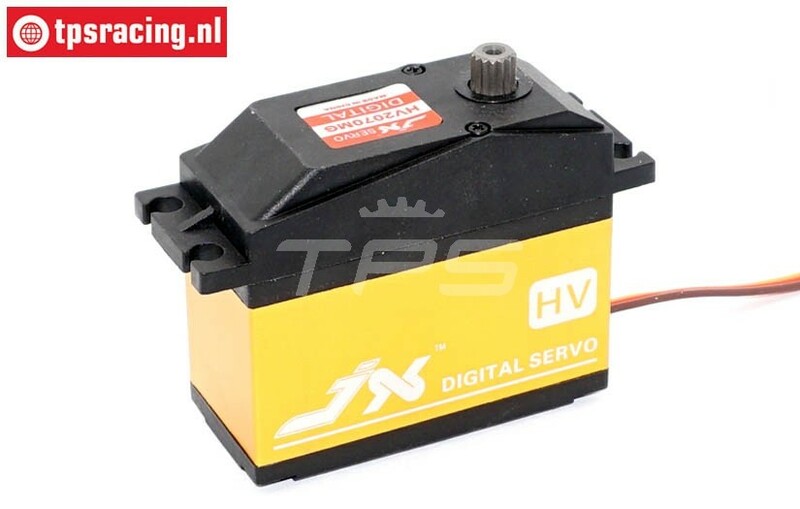 TPS0027/01 Aluminium Servo arm 15T- L39 mm Red, 1 pc. TPS0027/01 Aluminium Servo arm 15T- L39 mm Silver, 1 pc. JX2060 PDI-HV2060MG Black Edition Digital 15T, 1 Pc.